While there are numerous outposts bearing the Pacha name around the globe, we&apos;re of course talking about the franchise&apos;s luxe 3,500-capacity headquarters in Ibiza. 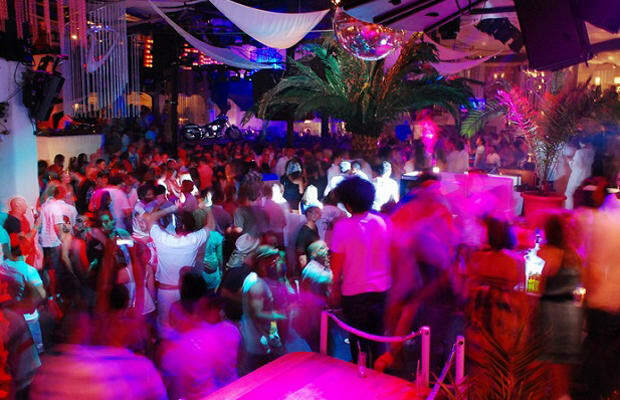 On an island known for being a clubber&apos;s paradise, Pacha&apos;s been able to set itself apart from the rest of the pack with impressive high-profile DJ lineups and residencies (David Guetta, anyone? ), as well as its collection of tricked out rooms that suit every musical craving. In the event you thought the space looked familiar, you&apos;d be right. Fans of It&apos;s All Gone Pete Tong can live out their wildest nights of regrettable decisions in the very locale where deaf DJ Frankie Wilde got his groove back.